Think you can’t see the Moon indoors? Think again. Scienceworks has announced an exciting new exhibition for December, which lets visitors take in a replica of the Moon close up. Museum of the Moon is essentially a seven-metre diameter spherical sculpture that features large-scale NASA imagery of the lunar surface. It’s shown at a scale of 1:500,000, which means each centimetre of the sculpture represents five kilometres of the Moon’s actual surface. 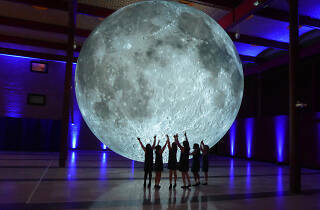 Created by UK artist Luke Jerram, Museum of the Moon has travelled over the world in recent years. 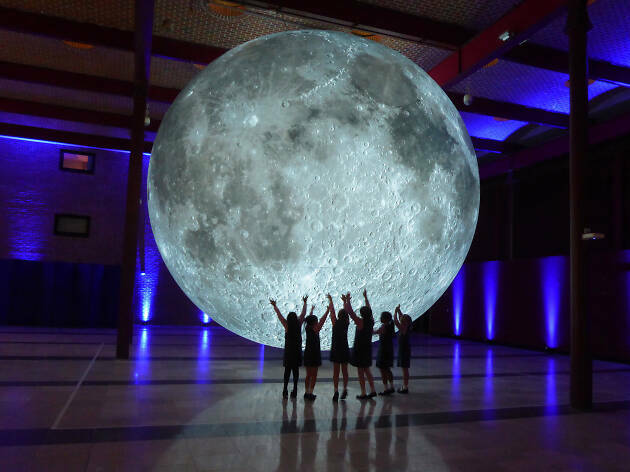 What’s cool about the installation is that it blends detailed lunar imagery, internally illuminated “moonlight” and a specially designed soundtrack created by BAFTA award-winning composer Dan Jones. Virtual reality experience and game Opaque Space: Earthlight – Lunar Hub will illuminate the way you experience the moon, as well. This 40-minute experience will feature 20 minutes in-game and uses headsets and backpack PCs to allow players to move freely around the play space. Entrance to Opaque Space will have an additional charge. There will also be an exciting range of public programs during the Museum of the Moon's residency. Entrance into the exhibition is included with museum entry (free for children and concession and $15 for adults).